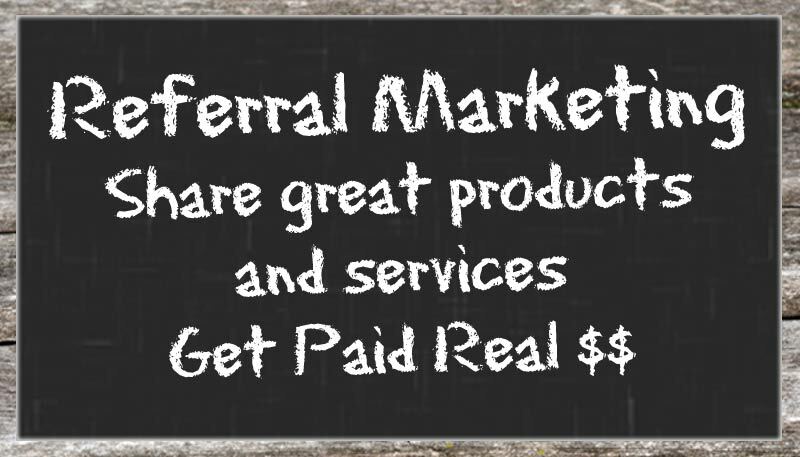 Have you ever heard of Referral Marketing? I am sure you have heard someone say the best form of advertising is “Word of Mouth” advertising. If your friends tell you the new restaurant in town is AWESOME, doesn’t that make you want to go try it out? Have you ever read a book, seen a movie, gone to a show, or tried a new restaurant because someone told you about it? If you have, then you have been influenced by referral marketing. In most cases, the person that told you to try this product or service, probably did not receive any type of monetary or financial reward. They may simply be happy that they helped drive a new customer to a product or service that they themselves enjoyed. The business that is getting the new customer is happy and may not ever find out that the customer was referred by someone else. Do you know any businesses that would not love to reward their customer referrals? Most of these companies have no way to track it and think it costs too much to implement. Do you own a business that is willing to reward your current clients for bringing you new clients? Our team has been involved in the marketing of real estate for a combined total of over 50 years. We have seen programs that work and programs that did not work so well. Typically in Real estate, only licensed real estate agents are to be compensated for the sale of real property. You may find an agent that rewards their current customers with gift cards or discounts on future listing commissions. I once received a Starbucks Coffee Gift Card from a Real Estate Broker for just mentioned her name to a friend looking to sell their home. She didn’t get the listing, but she sure appreciated the opportunity to present to that seller. We have seen home builders reward existing buyers with credits at the local hardware store or furniture store for bringing them new buyers. With restaurants, you may see discounts or coupons for free meals for referring new customers. Have you ever been told by a friend ( Let’s Call her Mary) “Tell them Mary sent you!” This may or may not generate a reward for Mary, the person telling you about the product or service. I bet the next time Mary comes in to dine with that restaurant, the owner will reward Mary in some way.. free drink, dessert, appetizer.. or may even the whole meal. I know when I am telling someone about one of our customers, I usually say, “Make sure tell them you heard about the business from Bo the Webguy.” This helps me continue to keep the business as a marketing client. Hearing my name shows that business owner what I am doing is working for the business. In this case, the business is rewarding me with continued marketing fees. These types of rewards are typically sent to loyal customers, but occasionally you may receive a coupon from a friend or third party that gives you a discount and at the same time… rewards the person for giving it to you. Have you ever been given free entry in to a club or a discounted drink at a club or bar from a taxi cab or concierge? These cards will typically reward the person with a referral fee for sending them to the place of business. I have offered coupon codes that discount Volume CD purchases for years.. typically these codes are tied to some other promotion that rewards me or a friend for volume CD sales. If you have purchased music from BuyBeachMusic.com in the past, you have probably received discount codes for 15% off $50 purchase at different times of the year. In my experience, people tend to refer more people if they are getting paid in cash or free stuff. If you love a product or service, you would probably tell others about it. If you got free products or even better got paid a referral fee every time someone purchased that product or service as a result of something you did, would you not do it more? Some companies have websites with tracking mechanisms that are able to tell who sent the customer. If the person buys, the referral tracking ID will allow the business to reward the affiliate or referring party with a check or credit towards future purchases. You will see links and ads on many websites that have this type of tracking in place. For example.. you may see an ad for amazon.com on one of our travel websites. You may see an ad for Godaddy domain name registration or website hosting from hostgator on one of our entertainment sites. These are types of affiliate programs that pay us when we generate a sale for these companies. We are based in North Myrtle Beach, SC and many of our clients are also located here in the Grand Strand area of South Carolina. We have started working with several local businesses to increase awareness of the local small business. Come and see us on 503 Sea Mountain Highway in Cherry Grove section of NMB and ask us for a FREE gift that rewards you for shopping and dining with our clients. If you would like more information, please use our contact form and we will set-up a time to answer your questions. If you have a business in North Myrtle Beach, please ask us how to get more loyal customers and referrals from our local shopping group as well as vacationing families that stay with our rental partner, Grand Strand Vacations.